Assessment reports that have been undertaken by a fully qualified specialist teacher assessor or an HCPC registered psychologist prior to March 2019 will now be accepted by Student Finance England (SFE) for DSA purposes. 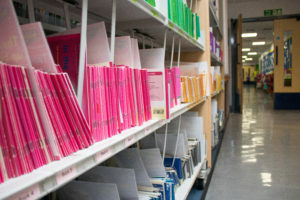 However, from March 2019, dyslexia/SpLD reports at any age should have been produced by a specialist teacher assessor with an Assessment Practising Certificate (APC) issued by an SpLD Assessment Standards Committee (SASC) awarding body such as the Dyslexia Guild or a practitioner psychologist registered with the HCPC for them to be valid for DSA purposes. An Assessment Practising Certificate provides approved recognition that the holder has relevant and up-to-date knowledge of dyslexia and specific learning difficulties (SpLD), and has the experience and competence to undertake dyslexia/SpLD assessments and reports. The Joint Council for Qualifications also recognises the APC as being recognised for the purposes of specialist assessment for Examination Access Arrangements. Qualified specialist teacher assessors should always hold Indemnity Insurance for assessment work that is undertaken and should be mindful that their professional competence could be challenged if there is insufficient evidence of continuing professional development (CPD) as required by SASC. Guild members are able to access discounted Indemnity Insurance as a member benefit. An Assessment Practising Certificate recognises professional achievement and a commitment to CPD and must be renewed every three years. During the three-year period, regular CPD must be maintained with at least five hours a year being SASC accredited CPD. Practitioners who do not feel confident that their current practice and test knowledge is up to date should consider undertaking refresher training to update their professional skill. Further details on our APC updating course can be found here. For a limited period qualified and practising specialist teacher assessors with a full level 7 qualification in assessment (e.g. the Professional Certificate in Assessment Practice (Middx) or the Postgraduate Diploma in Dyslexia and Literacy (York) who have not previously applied for, or held, an Assessment Practising Certificate will be able to obtain an APC by completing an application form and uploading a copy of their qualification certificate. The fee is £180 and includes the SASC listing fee of £30. Membership of a relevant professional association is a requirement for obtaining an APC. The Dyslexia Guild is a recognised professional association for APC. You should maintain your membership of The Dyslexia Guild in order to retain your APC and to ensure you are kept aware of new developments and to show continuing evidence of recent and relevant CPD. If your professional membership lapses then your APC will also lapse. The SpLD Assessment Standards Committee (SASC) oversees the standards set for an Assessment Practising Certificate and maintains a list of approved assessors. SASC has authorised the Dyslexia Guild to issue Assessment Practising Certificates on its behalf. Full details on applying for an APC can be found here. Brochure Obtaining or Renewing an Assessment Practising Certificate which can be found here. If I undertake assessments with students do I need to hold an APC? Yes if you wish your clients to be able to use the assessment report as evidence that they have dyslexia for the purposes of applying for Disabled Students Allowance in Higher Education. HCPC registered psychologists do not need to hold an APC. Why has the Government made this change? If Dyslexia is a lifelong condition clients should not need to pay for a reassessment post-16 if they are already in possession of a report that identifies they have dyslexia – assuming this report is written by an appropriately qualified professional. If I undertake assessments aiming to identify whether a client has dyslexia do I need to follow SASC guidance for the assessment? If you hold an APC and you wish your clients to use the report for the purposes of applying for a Disabled Students Allowance in Higher Education you must follow SASC guidance. SASC guidance is often under review and is regularly updated. SASC also holds consultations for professionals to respond to. How much CPD must I undertake when I first become an APC holder? 5 hours of SASC authorised CPD, plus an additional 5 hours CPD, each year. SASC recommends some of this CPD is undertaken as mentoring. Any other questions should be directed to the APC Administrator.